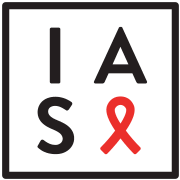 This is a call for papers for a special issue of the Journal of the International AIDS Society (JIAS) on Data-driven HIV prevention: the HIV prevention cascade and beyond to be published in conjunction with AIDS 2020. Article submissions in the categories of Research, Short Report, Review, Debate, Commentary, and Viewpoint will be accepted. High priority is placed on papers from authors reporting on original research including operational research and implementation science. Draft papers should be emailed to Bernadette.Hensen@lshtm.ac.uk with the subject line (HIV PREVENTION CASCADE JIAS).